Summary: You tried to clean or format a USB stick or any other removable media using Diskpart tool and suddenly “ACCESS IS DENIED ERROR” popped up your screen. But do not worry here you can learn to fix it. How to Fix this Diskpart has Encountered an Error Access is Denied Issue? Diskpart is a utility tool which operates through the command line interface. It can be used in Windows operating systems from Windows XP to the latest releases of Windows 7/8/10. It allows superior control of disk management along with the creation of disk partition, assignment of disk drive letter including cleaning and formatting of removable media like a USB drive. Now you know the potential of this tool, but sometimes it may come up with issues like “Diskpart has encountered an error access is denied”. This is a common problem and many users have experienced it. We are here to solve this issue and we have come up with effective solutions that can fix this error easily. An error message showing “Diskpart has encountered an error access is denied.” “See the system event log for more information.” is a common thing for many users when using Diskpart utility tool in Windows operating systems. Be that you are trying to format or clean the USB drive or SD card it pops up on the screen not allowing you to finish the task. You must be wondering if something is wrong in your command although it seems you typed the correct intended command for the task. So, then why this error occurs? As stated above this error occurs when we try to clean or format the media device. This error could occur if the storage device is considered to be blocked, write-protected or unauthorized by the system. In such a case, Diskpart cannot perform the task from the command. There are various ways to fix this error it also includes downloading a third party software to your computer hard drive and using its graphical user interface to finish the task. But as promised above in our post we have everything covered which includes the conventional ways of fixing the Diskpart has encountered an error access is denied issue and safest way to retrieve your data from the hard drive. Go to the System Event Log to get more insight on errors that might have come up. Step 1: Tap Win key + R to open the Run window. Now, type “eventvwr” and tap Enter. Step 2: Hit Windows Logs as well as System. Step 3: Find the errors if any! There will be a red exclamation mark at the end if there are any errors. Step 4: Simply check the information in details. Tap the Start button, go to All Programs, and tap Accessories. Simply Right-click on Command prompt, and again tap on Run as administrator. When the User Account Control box comes up, confirm it, and tap Continue. Run DSIKPART now to check if the error disappears. If not, follow the next solution. Go to Start and tap on the “Run” option. Type “regedit” into the command box. After that, double click on the “WriteProtect” key and get the value changed to zero. If the Diskpart has encountered an error access is denied issue is still not fixed, it is advisable to format your drive. This will solve the problem for sure but you will have to deal with data loss as formatting means total clean up of the drive. Nevertheless, there are many formatting tools available now. Choose any one and go for it! Almost all the 3rd party software is easy to use. Download the program, go for Format partition, choose a file system and then proceed. Now, if the Diskpart has encountered an error access is denied issue is fixed, you should try recovering the data on your hard disk right away just to be safe. Bitwar Data Recovery is a great choice if you want to restore lost data from your hard drive. It helps you to get back any type of data like pictures, videos, audio, documents etc with just a few clicks. Whether the data is not showing up or the drive is formatted from Windows or Mac, it can basically get back anything from no matter the storage devices you have. After downloading Bitwar Data Recovery tool, launch the program and choose the hard drive and tap Next. 2. Select Formatted Recovery mode and tap “Next”. 3. Now, simply select the files you want to get back and again tap Next. 4. When the scanning process ends, you can preview the needed files. Now, just select the required files and tap “Recover”. And it’s done! It is as simple as that. All your selected files will be recovered immediately. You can also use Diskpart to do many things like formatting a file system between FAT32 as well as NTFS, convert disk between GPT and MBR and much more. One must keep in mind that these tools used above are very powerful and can do serious damage to your computer. It is always advisable to backup any important data for avoiding any possible loss. We hope the above-mentioned steps are helpful to solve Diskpart has encountered an error access is denied issue. And after it is fixed, you can go for data recovery with ease using Bitwar Data Recovery software. Quick Fix Recycle Bin Corrupted Error with a Few Clicks! 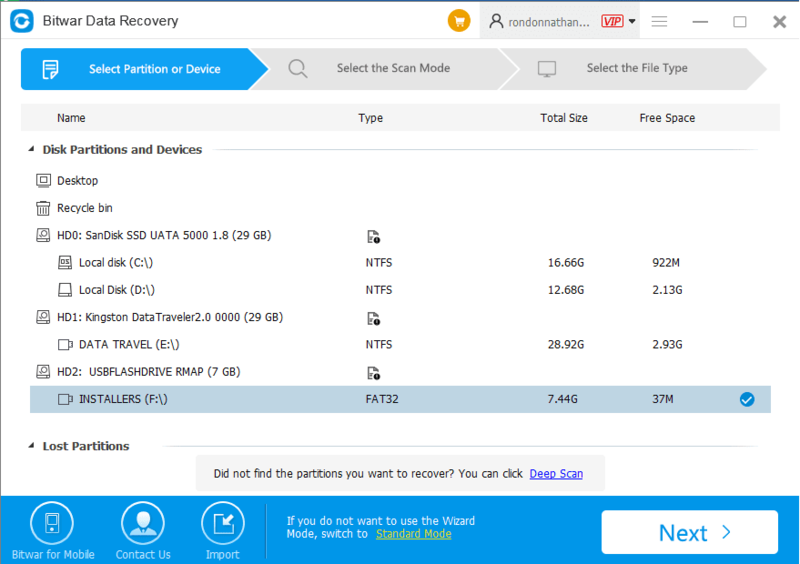 Need to Recover Files Lost by Ctrl+Z? 3 Proven Ways Help You!